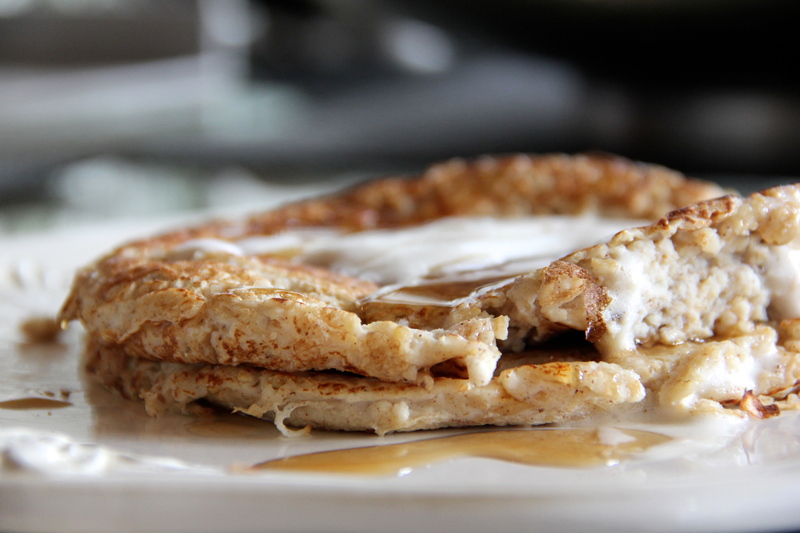 Happy, happy morning bloggers and particularly those of you who have gone ahead and made my favorite Skinny Ricotta Pancakes on earth! 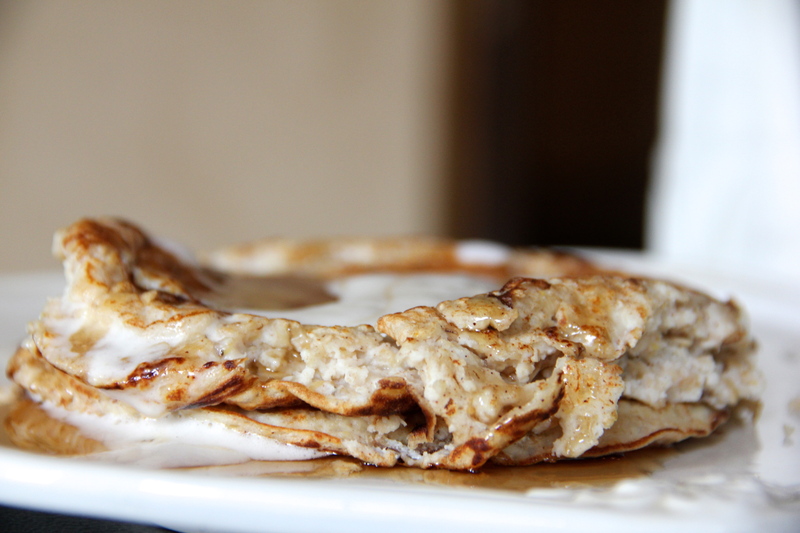 I don’t know about you, but somedays I wake up craving thick, scrumptious, melt-in-your-mouth pancakes. Mmmmm! Most likely, that’s why you’re here. So, today I whipped together some healthy pancakes, only 305 calories for the entire batch! I can’t explain how right on these pancakes are. Picture Matthew McConaughey’s gritty voice saying, “Right on, right on, right on.” What is it about MM? I want to be his niece or something. I bet he’s the coolest guy around Thanksgiving/Christmas. I bet he totally appreciates good food and friends and family and God, and I bet he’s just, ya know, super down to earth. I bet he drinks beer and eats pancakes and . . . oh, right, not the purpose of this post. In a medium-sized bowl, mix together all ingredients until combined. Make sure to whip through clumps of oats. Drop 1/3 of the mixture into a heated pan (lightly brushed or sprayed with coconut oil). All to heat for about 1 minute 15 seconds on the first side and 45 seconds on the reverse, or until cooked through. Repeat twice. Afterward, feel free to top with my low-calorie whipped cream recipe (post to follow) and/or Joseph's low-calorie maple syrup. Enjoy!